Let’s get up close with the bean! Legend has it that coffee was first discovered by a goat herder in Ethiopia who noticed his herd were a little jittery. Today, for coffee aficionados, it may seem unlikely to begin a day without a cup of this black gold but what happens when we experience our own private coffee tour? We all appreciate our first morning cup of coffee, whether it’s an espresso shot, frothy cappuccino, flat white or Americano. When we take a swig, have you ever stopped to take a moment about where your beans come from? Let Enchanting Travels take you on a journey, where you have the opportunity to travel to fertile lands and try your favorite caffeine kick at source. With coffee plants having a lifespan of up to two hundred years, it’s a wonderful source of income for the countries that produce it. Over the past decade, coffee producing, brewing and tasting has become an art much like that of seasoned sommeliers. Did you know? Your typical cup of coffee loses most of its flavor in the first two minutes of drinking it. To experts, after 15 minutes, your cup is stale. Drink up! Ecuador is a tiny country, yet it produces both arabica and robusta coffee, due to its vast ecosystems, rich volcanic soils and consistent temperatures. First cultivated in the lower altitude coastal province of Manabi in the 19th century, this continues to be the country’s biggest producer of arabica coffee. In recent years, coffee has been influenced by its neighbor, Colombia, and Carachi, which in on the border, is one coffee producing region. Other regions include Loja province and Pichincha province, located in or close to the Andes Mountain range. 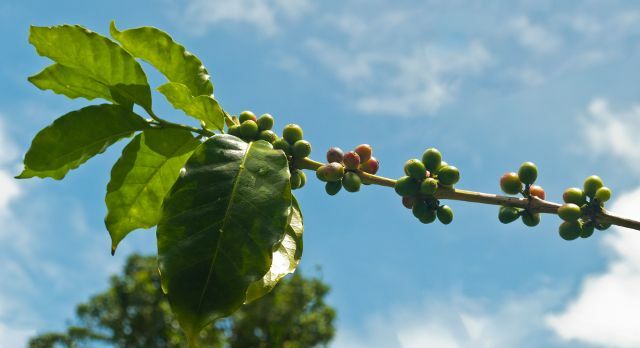 Coffee is even produced in the island province of the Galapagos, and has a unique flavor. Zaomra Chinchipe and El Oro are both known for their organically produced and often certified coffee, as more coffee estate growers choose minimal fertilizer and pesticide usage. Artisan and specialty coffee is being driven by passionate smallholders who even process the coffee in their backyards. Many specialty coffee roasters are appearing in the urban areas, however most coffee is exported for instant coffee. This makes it hard to find a good brew within the country, and also makes it expensive. Café Cubanito is one local brand that you can find in most grocery stores. We recommend: Head to Cafe Traviesa who roast their own native coffee on site at their retail shops across Quito, during your private coffee tour in Ecuador. Coffee was introduced to Indonesia in the 17th century by the Dutch during colonial rule, and was the first place outside of Arabia and Ethiopia to be widely cultivated. The first coffee plantation was in West Java, and today over twenty varieties of arabica coffee are commercially grown. 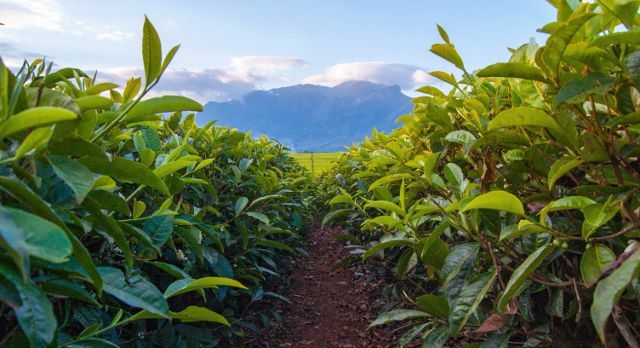 By the 1950s, Dutch owned plantations were nationalized after independence and are now stated owned, and 90% of the coffee is run by smallholders. Each of the regions have their own unique taste (known as a cupping profile), but generally the coffee is full bodied and has low acidity. The most popular regions for coffee growing, aside from Java, include Sumatra, with its smooth, sweet body yet intense flavors and Sulawesi, which grows coffee at high altitude, Flores, which benefits from the volcanic soils of the island, and Papua, which offers earthy. chocolaty, sweet notes with a spicy finish. Bali, is a main coffee growing area in its highland regions and promotes organic production. Java is still a popular coffee producing spot. Did you know? The world’s most expensive coffee, kopi luwak, or civet coffee, is grown in Indonesia, and is produced by the unusual method of the civet cats digesting and defecating the coffee beans, for a unique flavor. Civet cats are considered coffee connoisseurs, only choosing the best beans! Today, Indonesia is the world’s fourth largest coffee producer, and is a major part of the local culture. Indonesian men tend to drink their strong dark coffee with one of their signature kretek – clove – cigarettes. We recommend: During your private coffee tour of Indonesia, enjoy the coffee plantations en-route Chandidasa from Ubud and try some cool coffee variations! Coffee was first introduced to Vietnam by the French in the late 19th century, and has a most unusual style of being served. 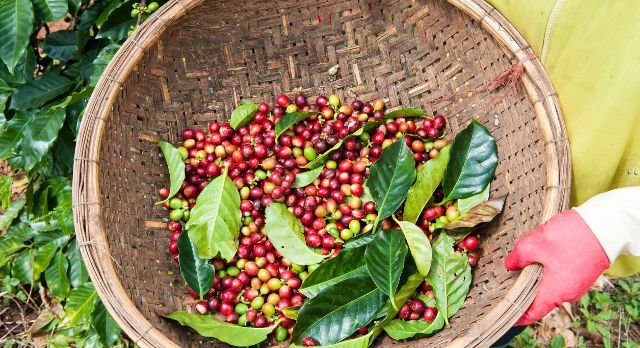 After the Vietnam War, the coffee industry transformed the country’s economy and it is now the world’s second largest producer. However due to the number of unexploded bombs on agricultural land, it also remains a risky business. The most popular coffee growing region are in the Central Highlands, in the Southeast and in the Central Coast. Robusta is the bean of choice, which is a stronger variety than arabica with almost double the caffeine content, and packed with antioxidants. Did you know? 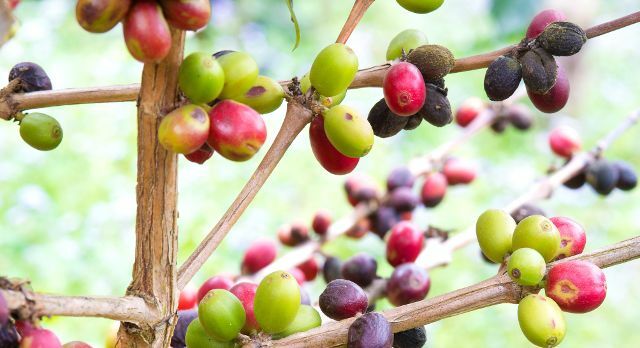 Robusta gets its name from the fact that it is a very robust plant, able to thwart off pest easily, and therefore costs half the price of the more delicate Arabica beans. The Vietnamese practice the art of slow living and prefer to brew their coffee at the tables. The cafe culture is focused on the brew, and most don’t serve food. In fact, there’s a phrase, Đi uống cà phê, all about coffee, which is an invitation to have a chat over coffee! Using a single cup French filter known as a ‘phin’, the phin slowly releases the rich, velvety coffee through hot water, drip by drip. After this trickle effect, sweetened condensed milk (which is easier to store in a tropical climate) is added, for an intensely thick brew with a distinctive chocolately, almost bitter taste. There are different styles of Vietnamese coffee, including yoghurt coffee (sua chua ca phe), coffee smoothies (sinh to ca phe), egg coffee (ca phe trung), and even coffees blended with fruit, such as a phe sapoche – a coffee blended with the custard flavors of the tropical sapodilla fruit. They may also seem odd, but all work surprisingly well. The reason these styles have come into being was due to the scarcity of milk during harder times. Ca phe chon, is Vietnam’s own kopi luwak – or civet cat coffee – and is also popular in the country and exported abroad. Try it at source during your private coffee tour of Vietnam! We recommend: Head to Hanoi’s Old Quarter to Trieu Viet Vuong, or “Coffee Street’ where you will find a stretch of cafes, from traditional family-run shops to trendy youthful hangouts. Tanzania: North Kilimanjaro. We recommend you stay at Arusha Coffee Lodge near Mount Meru! During your next private, tailor-made Enchanting Travels vacation, why not indulge in a unique private coffee tour experience, whether you stay a specialist lodge, visit a micro-roastery and meet artisan roasters, or amble through the coffee plantations? Expert Advice: How to Pack a Herbal Travel First Aid Kit!